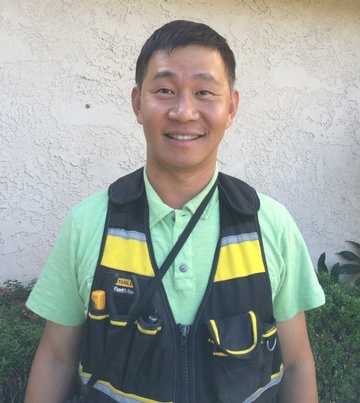 James Fang has been inspecting properties in Southern California for over 15 years and has performed over 5,000 residential and commercial inspections. He is a California Licensed General Contractor and an American Society of Home Inspectors (ASHI) and California Real Estate Inspection Association (CREIA) Certified Inspector. Additionally, James holds a Master’s degree of Civil Engineering from U.C. Berkeley and he is a California Licensed Civil Engineer. He is also a Certified Residential Thermographer (CRT) and a HomeAirCheck Professional. James really enjoys helping the real estate buyers, sellers and agents in their real estate transaction process. He has the knowledge, experience and commitment to professionalism to service all your inspection needs with excellence. It includes a property front picture, and client and property information. It provides a brief summary with digital color pictures of the significant problems found during the inspection. Please be aware that the inspection summary is NOT the entire report and the complete report may include additional information of concern to the client. It is recommended that the client read the complete report. A CREIA standard detail report is included, and detail information of each inspected elements and systems can be found in this section. Please click here to view a sample report in Acrobat Reader format. The report can be emailed to the clients upon request, and usually the inspection report will be delivered in the next business day. Contact our home inspectors at XY Home Inspection to know more about the home inspection services we offer across Los Angeles, Riverside, San Bernardino, Ventura, Orange and San Diego County.